Faced with the growing danger of loss of valuable archival and library collections and material, that determine the world’s legacy of knowledge, identity and history of humankind, UNESCO’s Member States have unanimously adopted at the 38th session of the General Conference, in November 2015, a first-ever standard-setting instrument on the protection of the world’s documentary heritage - the UNESCO Recommendation Concerning the Preservation of, and Access to, Documentary Heritage Including in Digital Form. Preface: The Recommendation concerning the preservation of, and access to, documentary heritage including in digital form (2015) was adopted by the General Conference at its 38th Session of UNESCO, Paris, 17 November 2015. The world’s documentary heritage is an invaluable asset and a responsibility for all. Faced with the growing danger of loss of valuable information that determine the world’s legacy of knowledge, the identity, history and values of humankind, UNESCO strives to sensitize governments, relevant institutions and the public at large of the importance to preserve information for present and future generations. Documentary heritage is the memory of humankind, but is under constant threat of disappearing forever. Documentary heritage in archives, libraries and museums constitutes a major part of the memory of the peoples of the world and reflects the diversity of peoples, languages and cultures. The issue of preserving this heritage has been a source of concern to specialists and other familiar with its fragility and the ensuing risks of losing important sources of information. Professional groups have urged UNESCO to develop a standard-setting instrument to provide the basis for the protection of the world’s documentary heritage, including in digital form. Protection can be effectively achieved through strategic policies that contribute to enhanced national legislative and implementation frameworks in Member States. At its 190th session, the Executive Board (190 EX/Decision 16) requested the Director-General to undertake and present to it the results of a preliminary study of the various elements to be taken into consideration in developing an instrument to lay the legal basis for the protection of documentary heritage. The General Conference, at its 37th session, took note of the findings of the preliminary study and invited the Director-General to submit to it a draft Recommendation on preservation of, and access to documentary heritage, including digital heritage” (37 C/Resolution 53). A preliminary report of the Director General, together with the initial draft of the recommendation, was sent for comments to Member States on 4 September 2014 (CL/4075); followed by a final report containing a revised version of the Recommendation on 3 April 2015 (CL/4104). 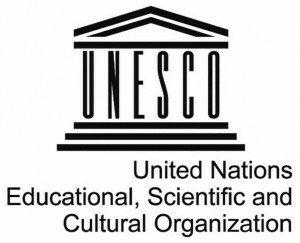 In order to finalize the draft Recommendation, and submit it to the General Conference at its 38th session, an Intergovernmental Special Committee meeting related to the Draft Recommendation concerning the Preservation of, Access to, Documentary Heritage in the Digital Era was convened at UNESCO Headquarters on 1 and 2 July 2015, 195 countries voted unanimously in favour of the introduction of a new UNESCO Recommendation on documentary heritage, including in digital form. The new normative text, which was unanimously adopted (38 C/Resolutions – Annex V) and is a result of a comprehensive consultative process, covers not only heritage aspects but also legal and intellectual property related aspects. The “Recommendation Concerning the Preservation of, and Access to, Documentary Heritage Including in Digital Form”, marks a milestone in UNESCO’s work towards preservation of documentary heritage. The Recommendation addresses both the technical and strategic issues that arise in the preservation and use of documentary heritage, providing practical, actionable recommendations that can be used by governments, memory institutes (archives, libraries, and museums), the private sector and individuals. The Recommendation aims to assist Member States both, at national level through identification of documentary heritage and policy measures ensuring preservation of and access to it, and at international scales through bilateral or multilateral research projects and publishing guidelines, policies and best practice models. This new normative instrument will also help build partnerships for identifying appropriate solutions to threats such as the ravage of time, natural disasters, human behaviour, technology obsolescence, mobilizing resources, so that valuable collections and records may never be lost. Hence, the new instrument clearly recommends to Member States initiate appropriate steps in order to align it with their specific contexts, disseminate it widely across their national territories, facilitate its implementation through the formulation and adoption of supporting policies, strategies and legislation. It was also decided that every four years Member States will report on the action undertaken to give effect to this Recommendation. More and more of the world’s cultural and educational resources are being produced, distributed and accessed in digital form rather than on paper. Born-digital heritage available on-line, including electronic journals, World Wide Web pages or on-line databases, is now part of the world’s cultural heritage. However, digital information is subject to technical obsolescence and physical decay. The UNESCO Charter on the Preservation of the Digital Heritage addresses these issues. The instability of the Internet is an additional risk for knowledge accumulated in html format. The need to safeguard this relatively new form of documentary heritage calls for international consensus on its collection, preservation and dissemination which resulted in the adoption of “UNESCO Charter on the Preservation of the Digital Heritage.” Guidelines accompanying the Charter adapt and extend present policies, legal frameworks and archival procedures so that this new form of heritage will not sink into silence. International symposium on Southeast Asia Heritage in Digital Age looks at how UNESCO Recommendation, Memory of the World Programme can benefit region’s archives. 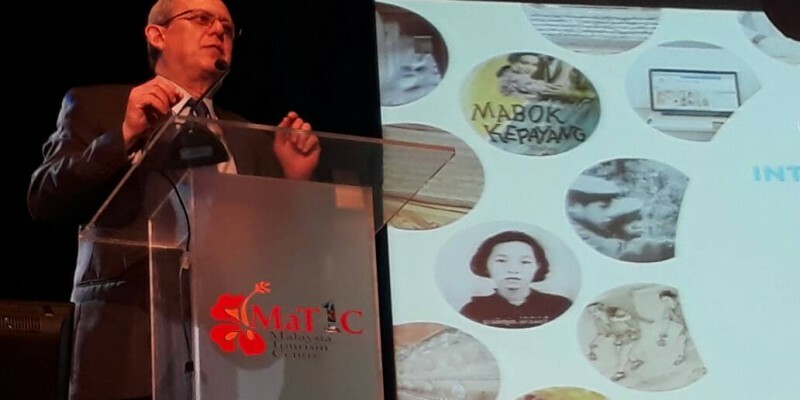 As the First global event of its kind aims to develop action plan for implementation of landmark UNESCO Recommendation on documentary heritage, the International Symposium on Preservation and Access: Southeast Asia’s Documentary Heritage in the Digital Age were held in Kuala Lumpur, Malaysia, May 08, 2017 – May 11, 2017, which were organised by UNESCO, in partnership with the Ministry of Tourism and Culture Malaysia, and in cooperation with the ASEAN Secretariat and is made possible through support from the Government of Malaysia via the Malaysia Funds-in-Trust (MFIT) under the Malaysia-UNESCO Cooperation Programme (MUCP). brought together more than 300 participants from around the world, including from all ASEAN countries, Timor Leste, as well as China, Japan and the Republic of Korea. The event brought together more than 300 experts, policy-makers, and representatives from archives, museums, libraries, , including from all ASEAN countries, Timor Leste, as well as China, Japan and the Republic of Korea, to develop an implementation action plan for the Recommendation tailored to the region. This was the first global consultation on the implementation of this important Recommendation. The aim is to develop a UNESCO-ASEAN “action plan” for its implementation in the region in line with the recently signed MoU on cooperation between UNESCO-ASEAN. A five-point UNESCO-ASEAN Member States Action Plan emerged from the consultation, identifying concrete actions that can be taken in the areas of documentary heritage identification, preservation and access, as well as policy measures to support efforts in these areas and opportunities for international cooperation. The Action Plan was adopted by delegates from 10 ASEAN Member States and Timor-Leste. The General Conference at its 38th Session of UNESCO, Paris, 3-18 November 2015. The Recommendation marks a milestone in UNESCO’s work towards preservation of documentary heritage. The Recommendation clearly recommends to Member States initiate appropriate steps in order to align it with their specific contexts, disseminate it widely across their national territories, facilitate its implementation through the formulation and adoption of supporting policies, strategies and legislation. It was also decided that every four years Member States will report on the action undertaken to give effect to this Recommendation.